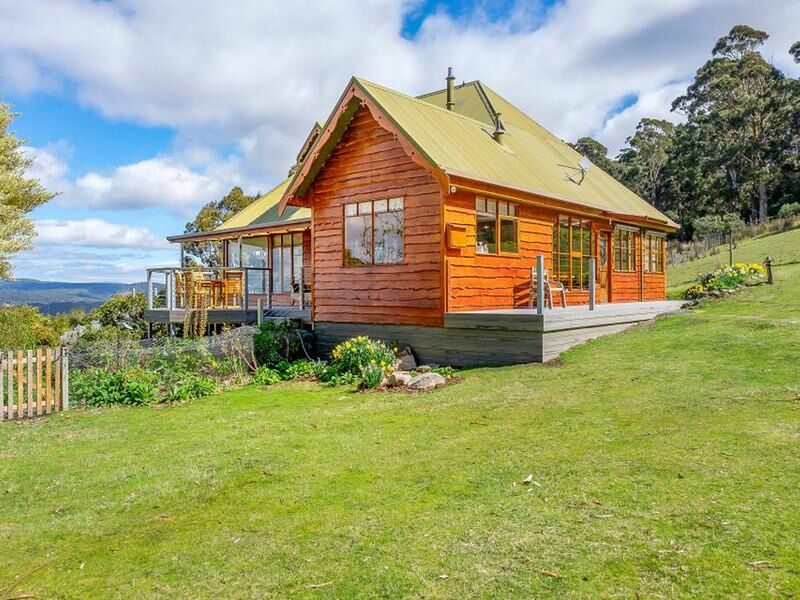 To appreciate and love this boutique, artisanal residence, set in 20 hectare of peaceful land atop Black Jack Ridge, you need not so much look at it as look out from it. 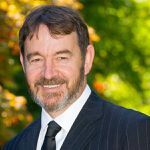 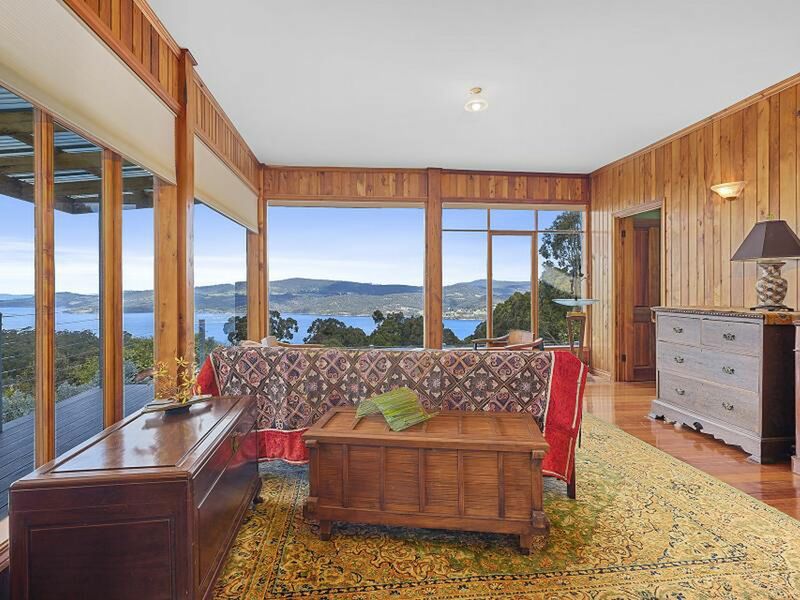 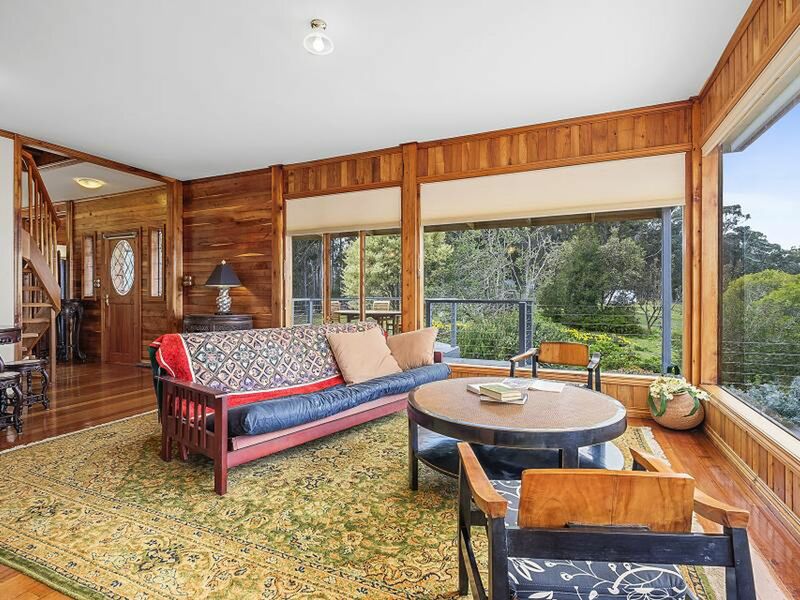 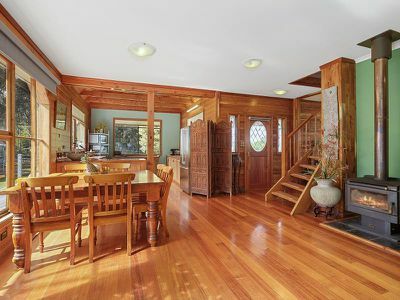 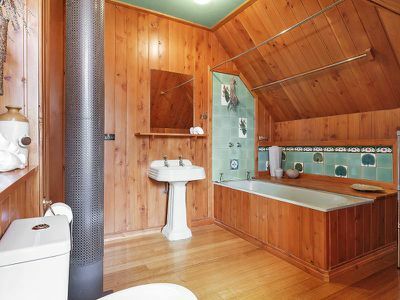 Yes, the sturdy exterior Celery Top Pine, like Huon Pine, will endure, but what really matters is the life that awaits you in this spacious and most personable of homes; and you enjoying its borrowed space, as the Japanese call it – the panoramic view of the Huon. 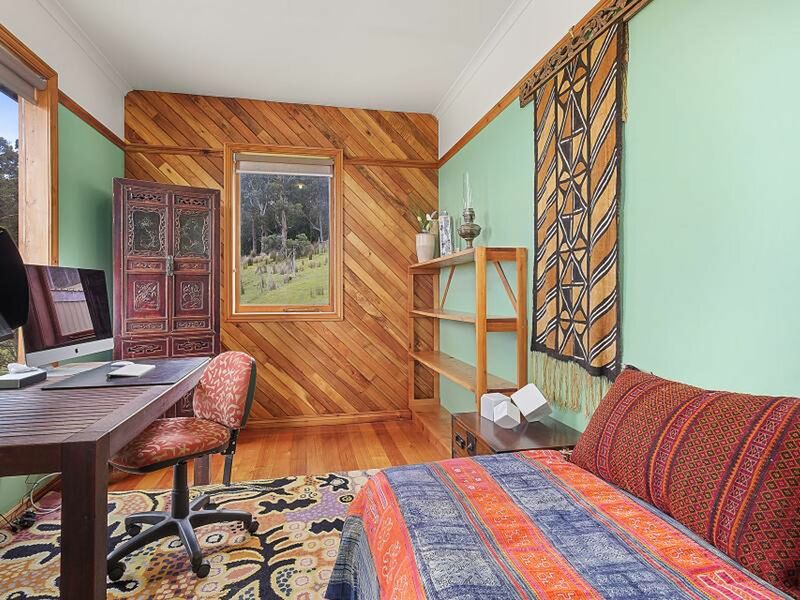 This is no ordinary place. 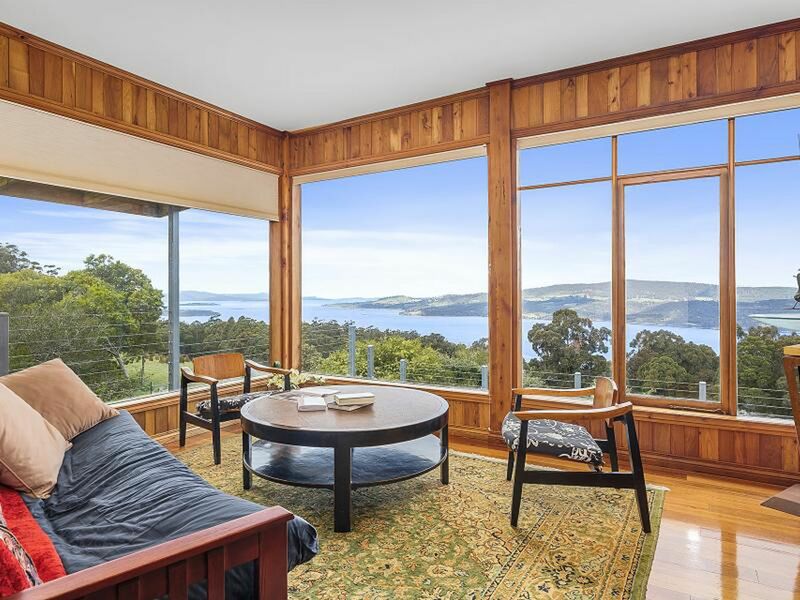 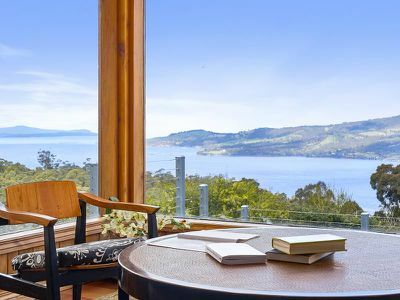 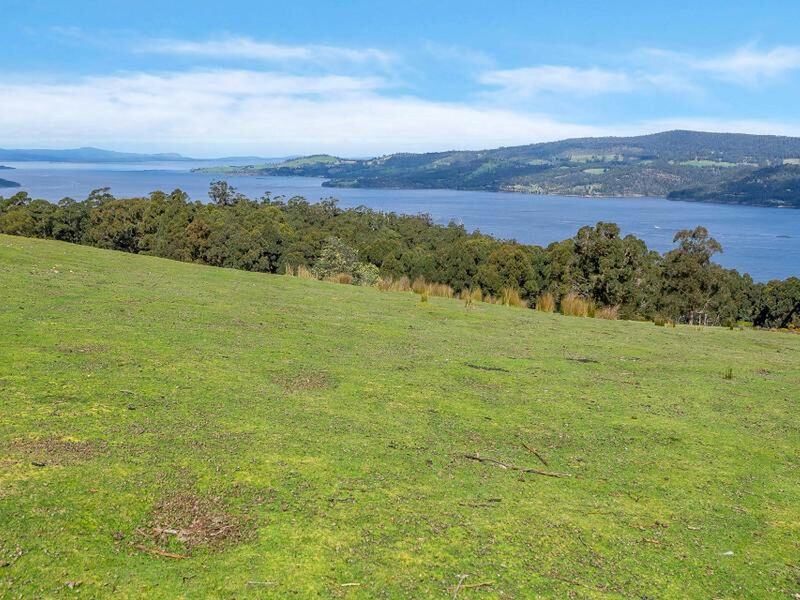 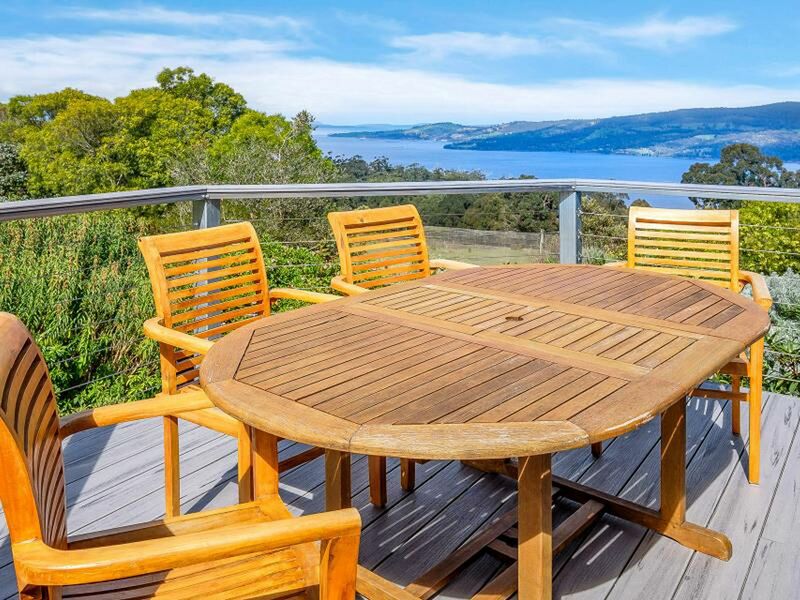 Pictures may be worth a thousand words, but they are no match for the transformative experience of actually being here; participating in the beautiful world overlooking the Huon Estuary all the way down to South Bruny Island – “one of the top ten views in the southern hemisphere” is no exaggeration. 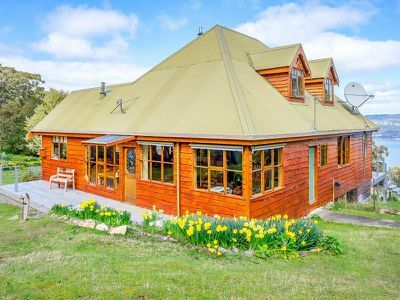 When the current owners arrived on the scene six years ago, the beauty and tranquillity of the place immediately won their hearts. The recently added extensive Modwood decking adds wonderful external space from which to engage the surroundings. Each morning the world around you here is a tempting surprise – the freshest air on the planet; pristine mist over the panoramic Huon and water that seems to loom so close you could throw in a pebble, yet the tiny toy boats attest to your lofty privacy; exotic bird-song; a friendly rainbow that often visits; storm clouds from the South; snow-capped, distant Mount Hartz. 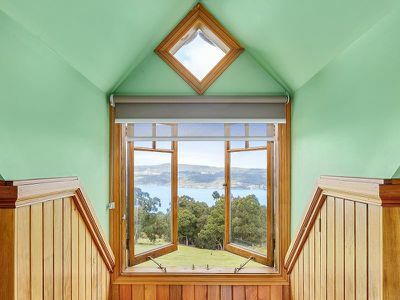 Come and do the experience: it will change your life. 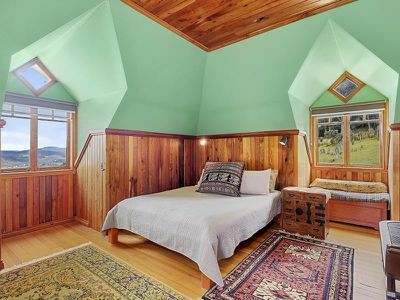 Just like love, it’s something you should do: just don’t die wondering! You won’t regret even a visit – no one ever has. 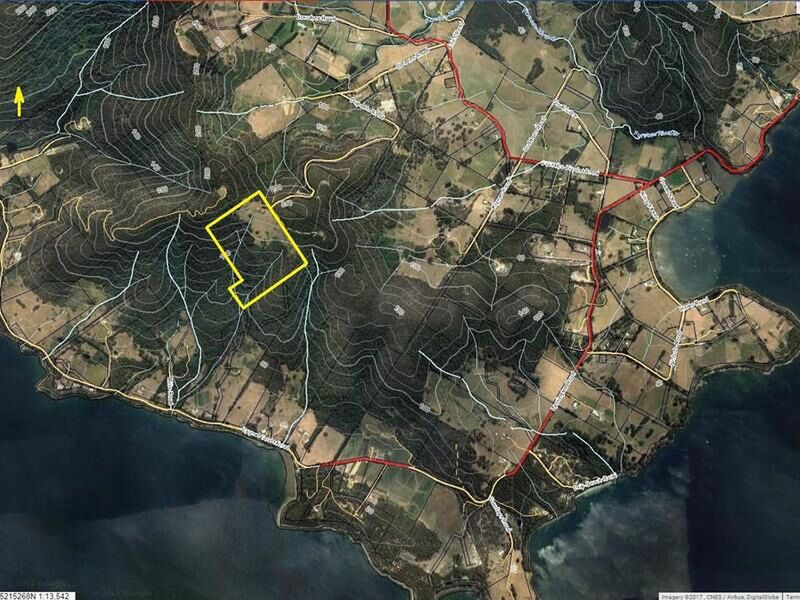 Perfectly positioned on 50 acres of fertile pasture land and tall timbers this warm and inviting 4 bedroom, 2 bathroom home has it all-end of road privacy, breathtaking ocean and island views, lush environment and highly desirable floor plan. 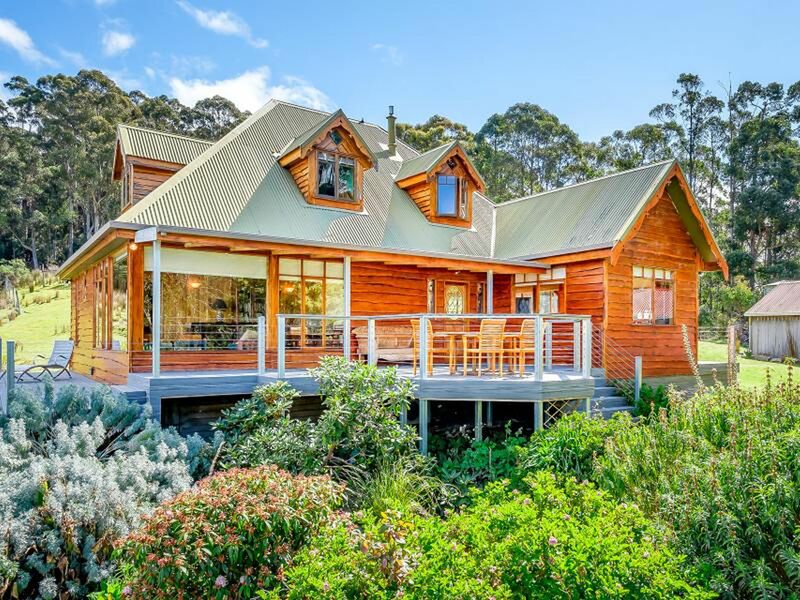 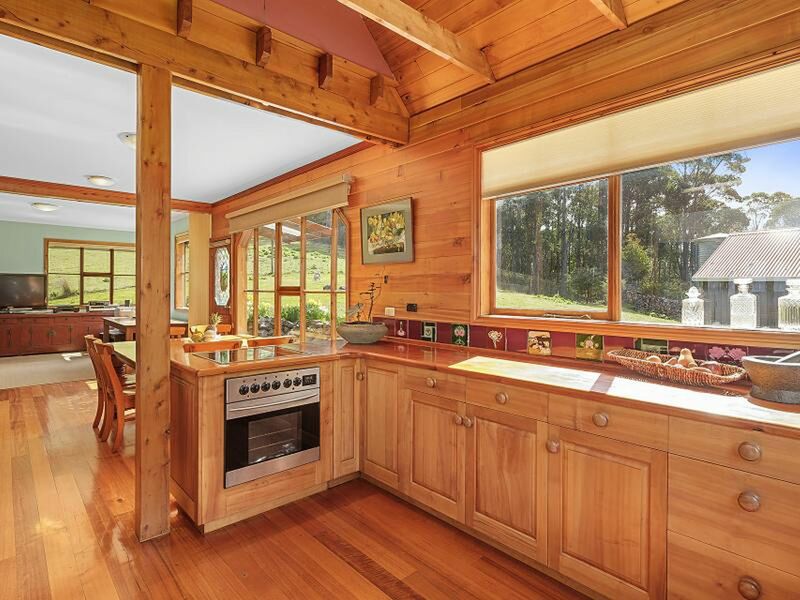 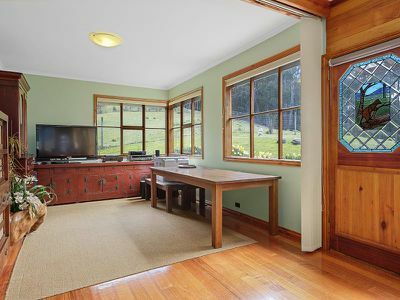 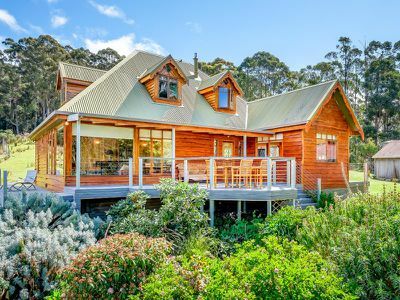 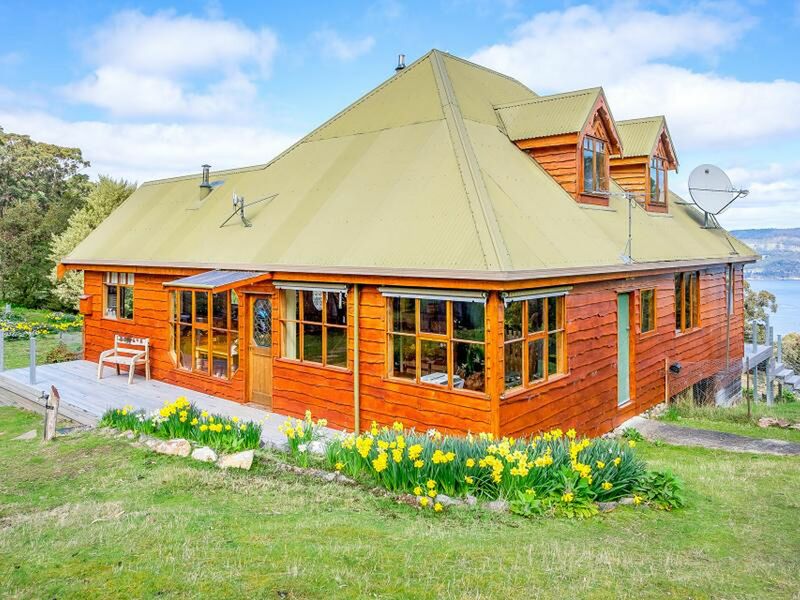 With solid Blackwood doors, timber floors, cathedral ceilings, exposed timber beams, leadlight windows and insulated ceilings, this hand crafted home with quality Tasmanian timbers is oozing character and charm. 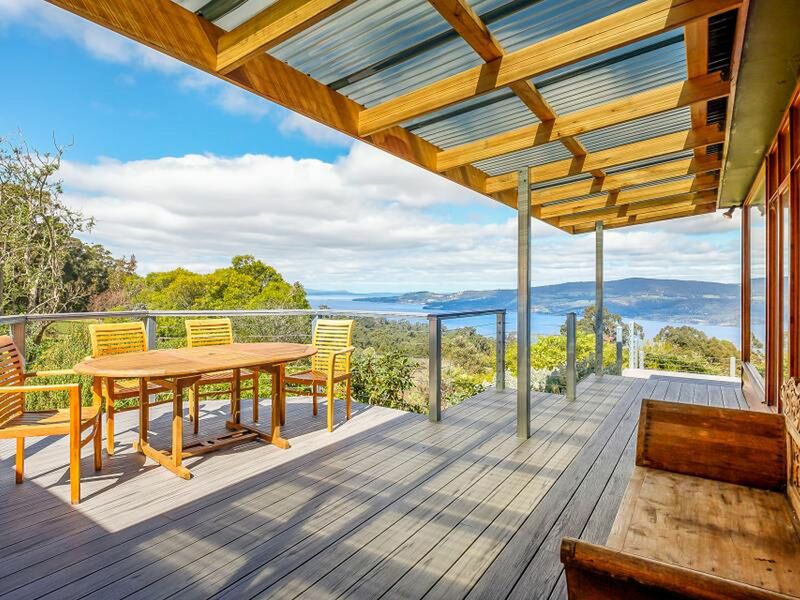 The array of beautiful timbers add texture and warmth to an excellent flexible open plan that provides multiple living options that flow easily to spacious decks positioned to capture the commanding ocean views. Cosy wood fire and efficient reverse cycle heating add to the warmth and charm. Good internet access and TV reception. 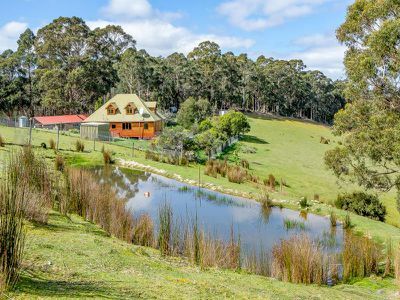 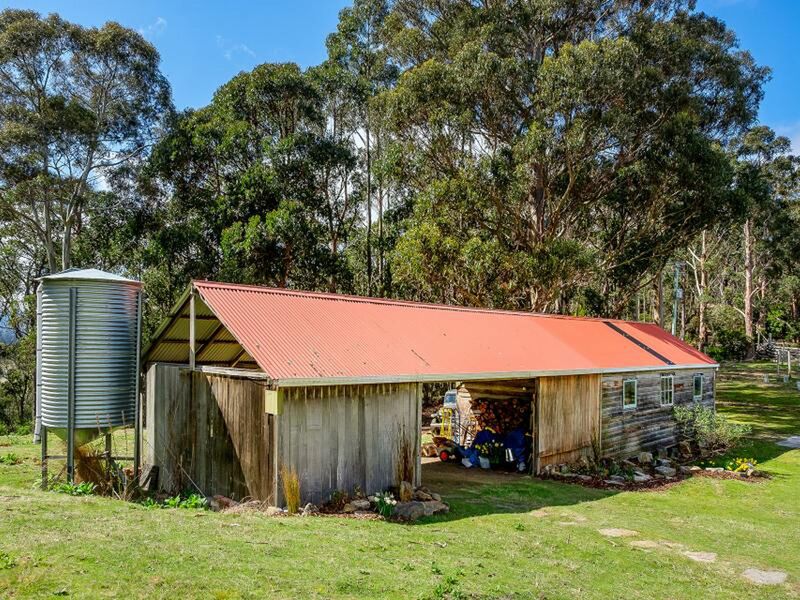 Large timber shed with carport, native gardens, 2 dams and productive farmland suitable for any farming pursuit. 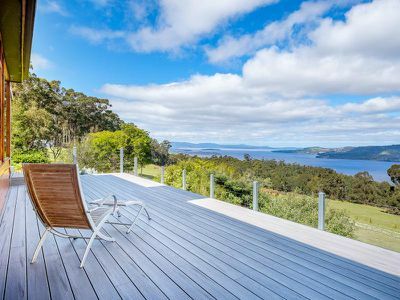 A beautiful established garden is a delight for the green thumb whilst much pleasure will be enjoyed with diverse flora and fauna. 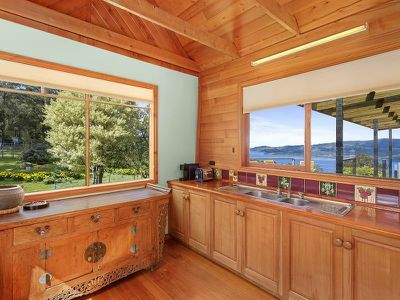 Come live in peace and harmony in this peaceful private haven. 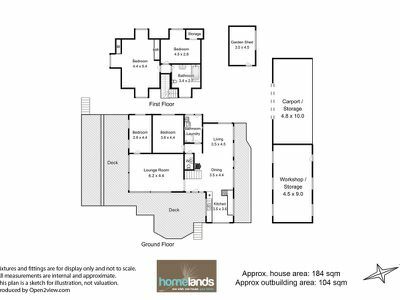 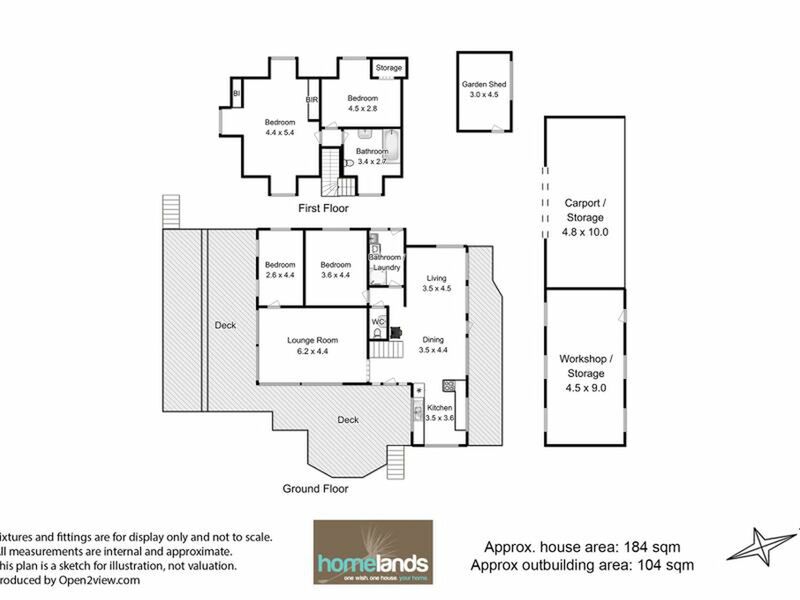 Inspections by appointment only – call to view today!